ROXAS BOULEVARD — The Boulevard itself is a pathway of historical significance and a multitude of opportunities. Situated along its length are cultural, historical, commercial and prominent landmarks such as The Manila Yacht Club, Rizal Park, and the Mall of Asia. across all of it is the illusive, almost unreal beauty of the Manila Bay horizon. The heart of the city is filled with great finds. 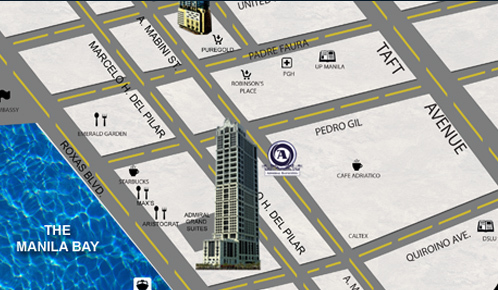 One of the most prestigious condos near Malate, Mall of Asia, and the Manila Bay is right within your reach. Admiral Baysuites presents Manila’s rich history and limitless opportunities thru its illustrious condominium. Be a part of our growing community and live in your ideal home now. There is a reason why Manila is The Country’s capital and that same reason is why Admiral Baysuites is at the ideal home at the heart of everything.